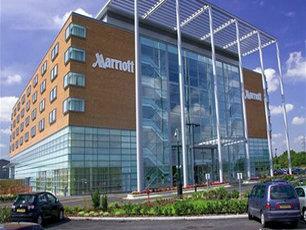 We work with many of the UK's leading hotel chains in the East Midlands and offer a full range of wooden floor renovation services as well as flexible work hours to ensure minimum impact on trade or guests. 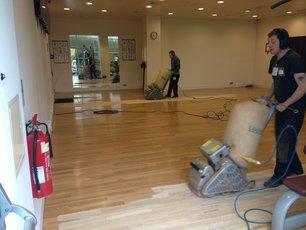 Floorfixer can provide a virtually dust free commercial floor sanding service during the day or night to suit the client's requirements ensuring that the restoration process does not interrupt their trading or business commitments. 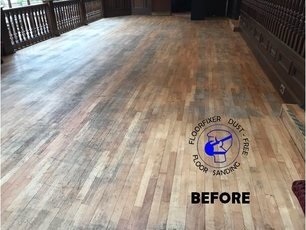 There are many factors unique to commercial floor sanding in Hotels with restaurants, and bars, and the most important of these are the time constraints. In most cases, the restaurant cannot remain closed for several days, so planning ahead and minimizing the time the floor must be vacant is a must. 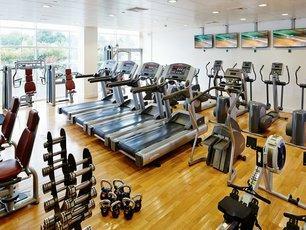 This usually means that each job is planned to start on the least busy day without inconveniencing the hotel guests. Wooden floors in Hotels receive an excessive amount of footfall every day and usually get less attention than in a domestic environment. 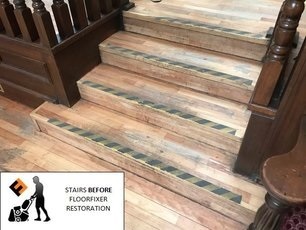 This extra wear and tear means that our floor sanding team need to be prepared to deal with some floors that have been severely neglected over the years. In the Restaurant and bar, spilled drinks and dropped food are the most common occurrence, and eliminating this type of stain can be difficult and timely. 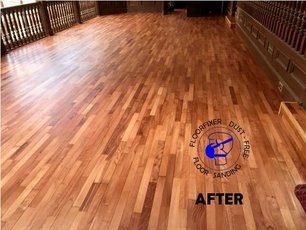 The deeper a stain is into the wooden floor, the harder it can be to remove, but floor sanding takes care of the problem in most cases. 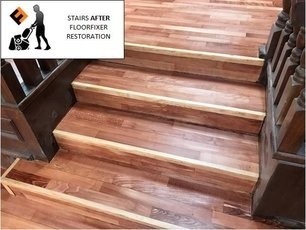 Also, dealing with unsightly deep traffic patterns in walkways frequented by servers and customers can take extra time to eliminate, as can grooves made by diner chairs. 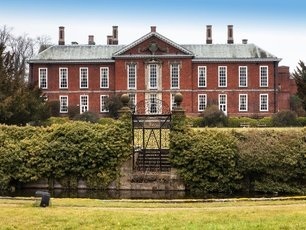 Hotels receive deliveries at all times of the day, and rescheduling deliveries from catering suppliers especially can sometimes be difficult to arrange. 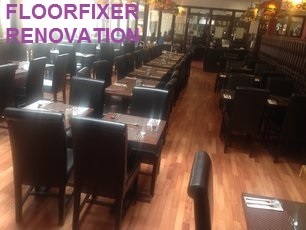 However, depending on the layout of the Hotel there may be other doors or paths that can be utilised for deliveries and thinking ahead is paramount, because an unplanned vendor interrupting wood floor restoration work can cause delays.